Axis bank is the most reputed private bank having branches all across in India. The bank offers many services through internet and mobile banking. You can transfer money to other banks in India using these services. 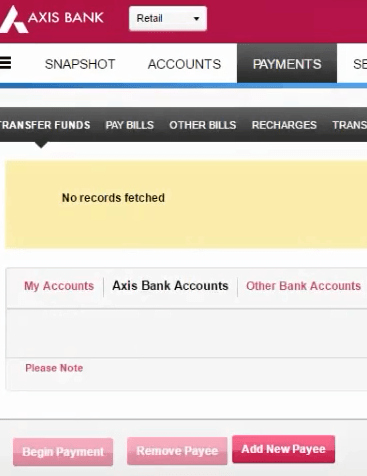 But to transfer money from axis bank to other banks online, first you have to add Payee by using net banking. 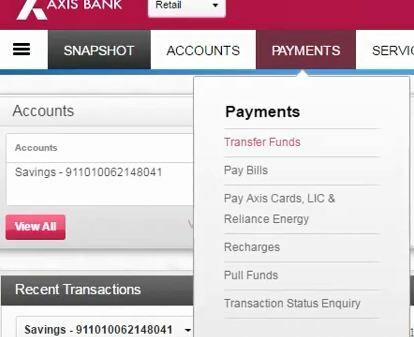 So in this article, we are going to tell you step by step how to add payee in Axis bank account. 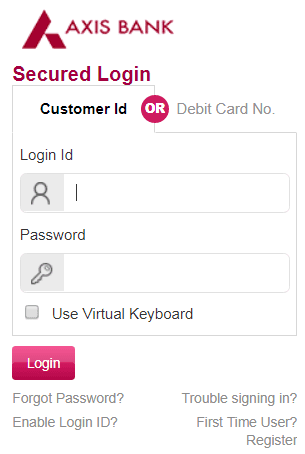 Step 1: First login your Internet banking account by entering customer Id and password. Step 2: From head menu click on the 'Accounts' and next click the 'transfer funds'. Step 3: Next you will be redirected to a page having 'Add New Payee' option, just click on it. Step 4: In the 'Enter Payee Details' form, enter the Payee Name, Nickname, Account Number and IFSC Code, then click the 'proceed' button. 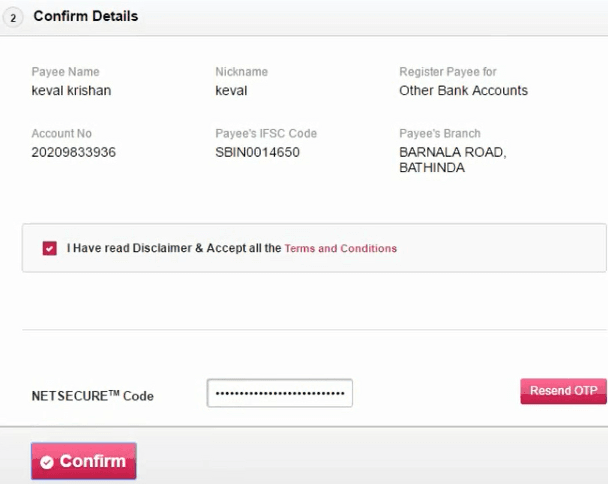 To get IFSC Code of beneficiary's bank, just click on button that reads 'IFSC'. Select the Bank, and then click on the button that reads 'Click Here to Get Details'. 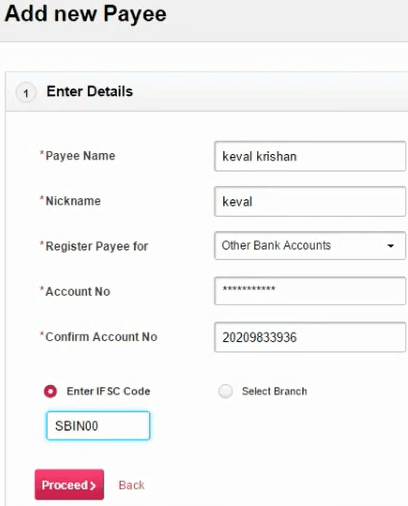 Now you need to select specific branch of selected bank. That's simple to do. Just enter the starting alphabet of branch name, you'll be suggested all branches starting with your entered alphabet. Pick the right one from the list. Once you are done with selecting branch, just click on 'select' button. That's it. IFSC Code will get entered to the appropriate IFSC text box itself. Step 5 : After you are done with proceed button, just tick the check box given at the end. It ensures that agree to 'terms and conditions' set by the bank. You will get 'NetSecure' password on your registered mobile number. Enter Netsecure password and after doing so, click on 'confirm' button. That's it. You have successfully added Payee in your online banking account of Axis Bank. Now you can send money to that bank account.